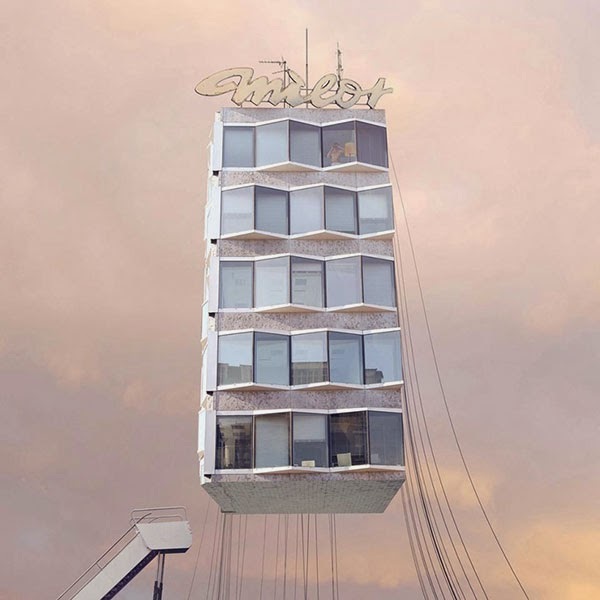 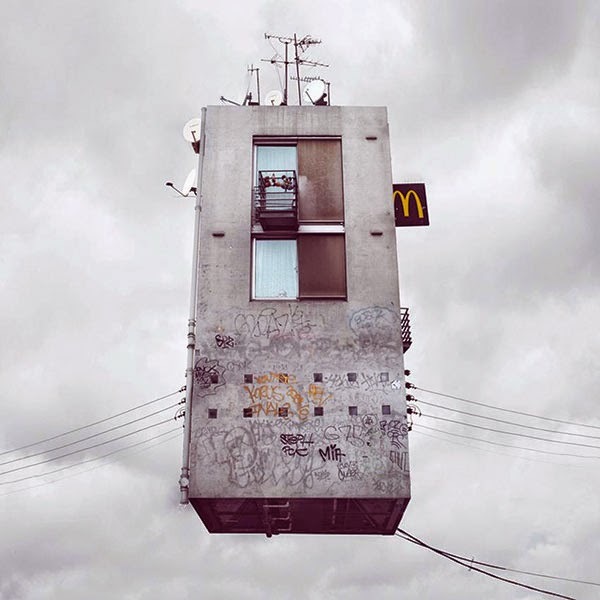 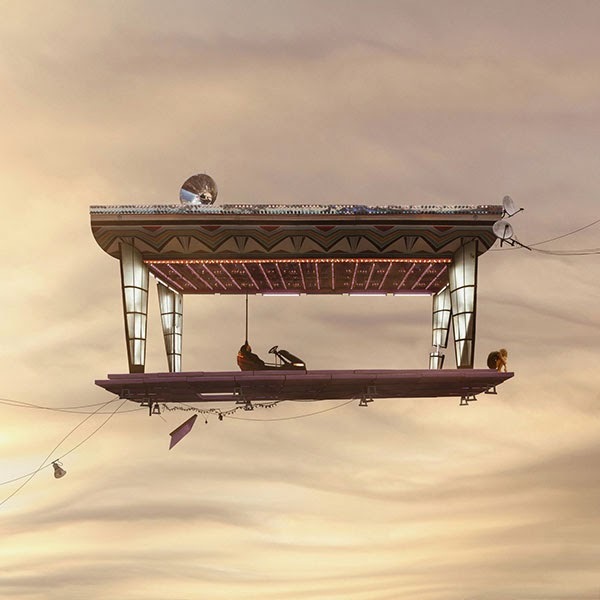 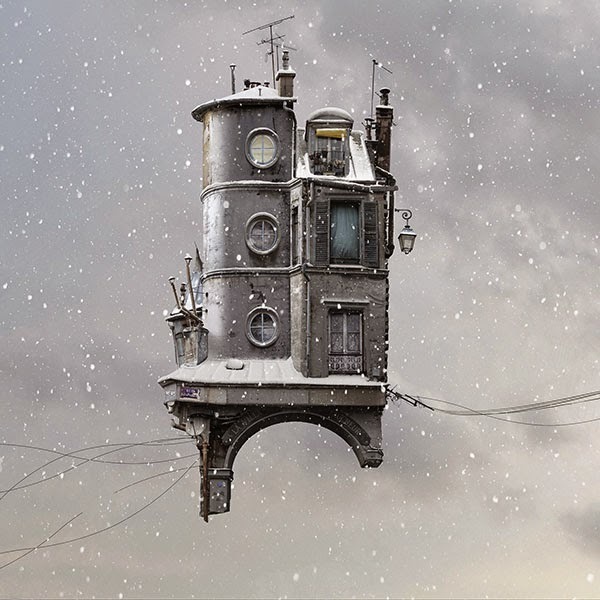 An ongoing series of homes, tents, trailers, and fantastical buildings removed from their backgrounds and suspended in the sky as if permanently airborne. 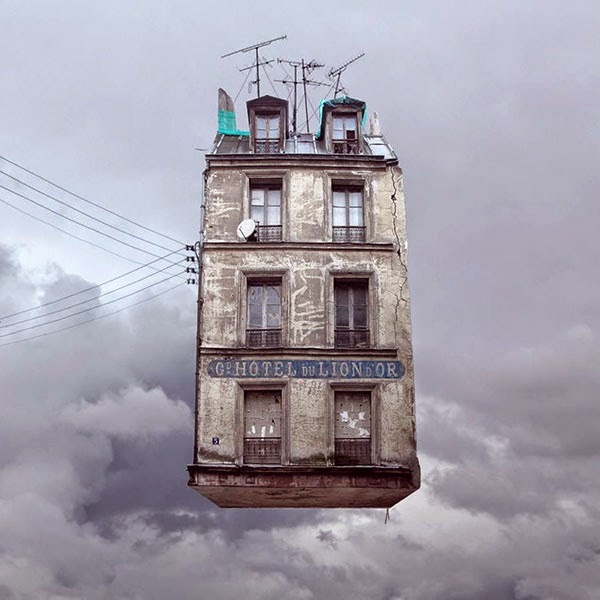 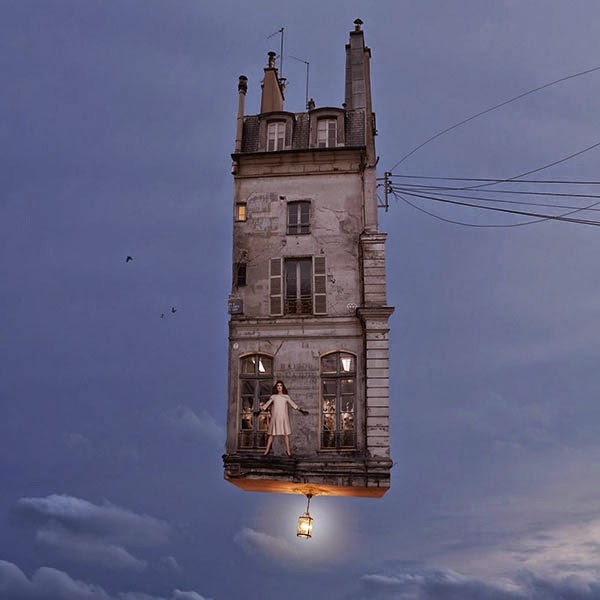 Informed by Laurent's wanderings of hidden neighborhoods in Paris and cinematic history, the photo-manipulated images depict a dreamlike world where the homes and buildings are no longer hidden in congested streets but are instead lifted away and float in the air. 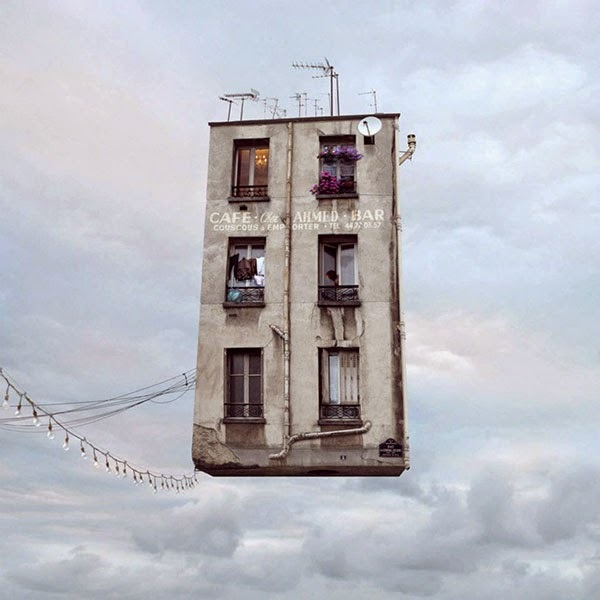 Laurent Chéhère is an award-winning photographer based in Paris. 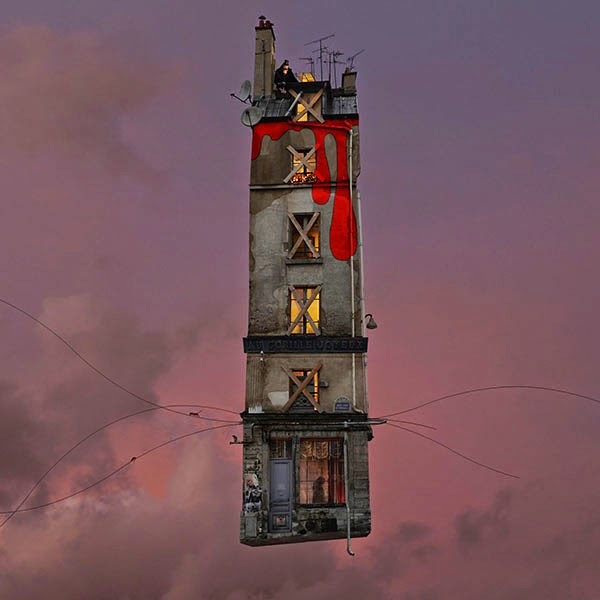 On view at Muriel Guépin Jan. 16 – Feb. 22.